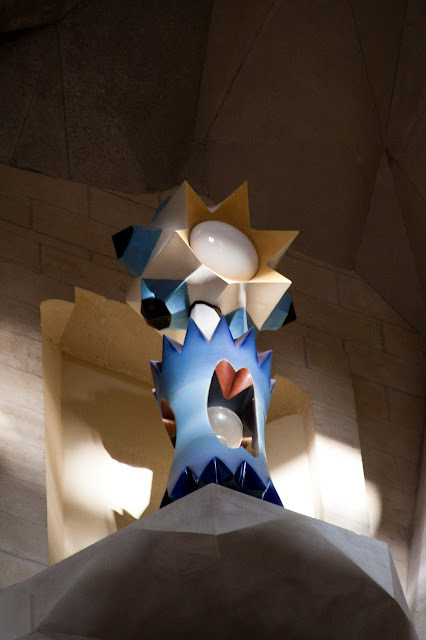 This building needs very little introduction, but just in case, this is Basílica de La Sagrada Família. 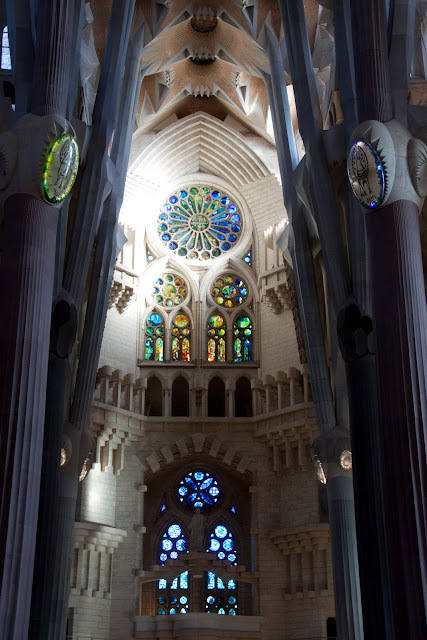 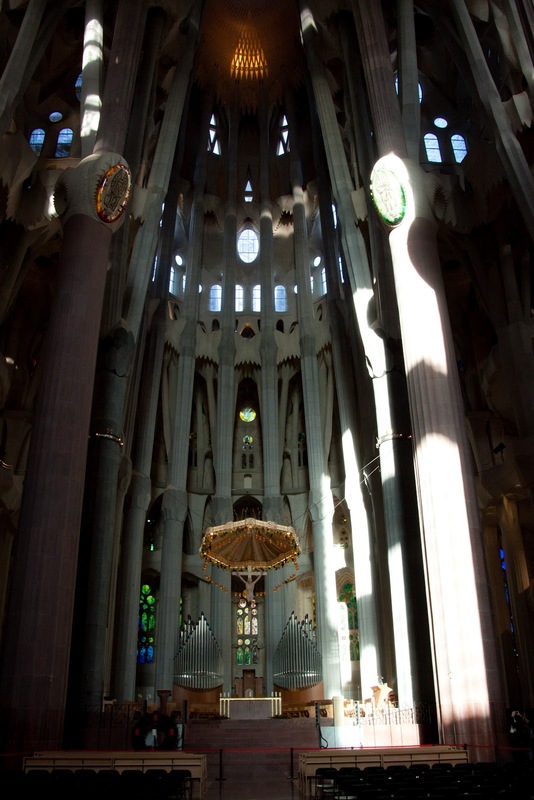 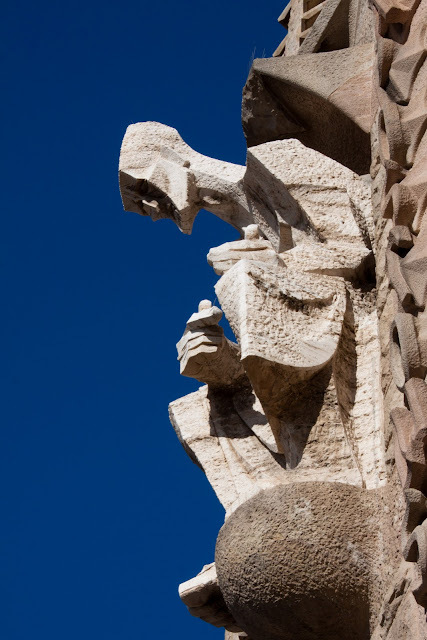 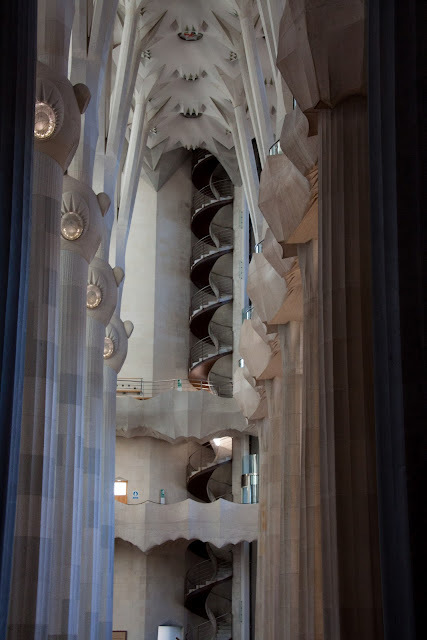 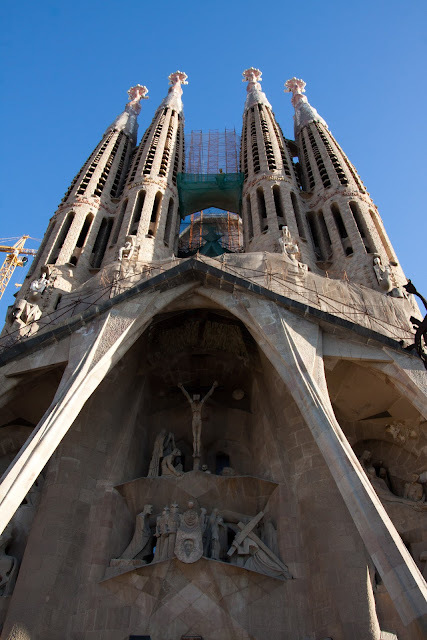 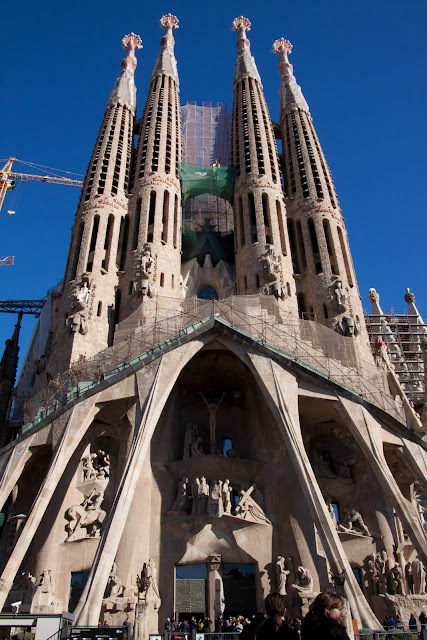 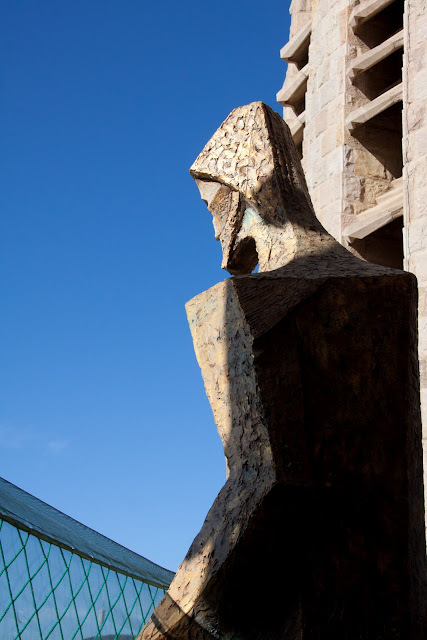 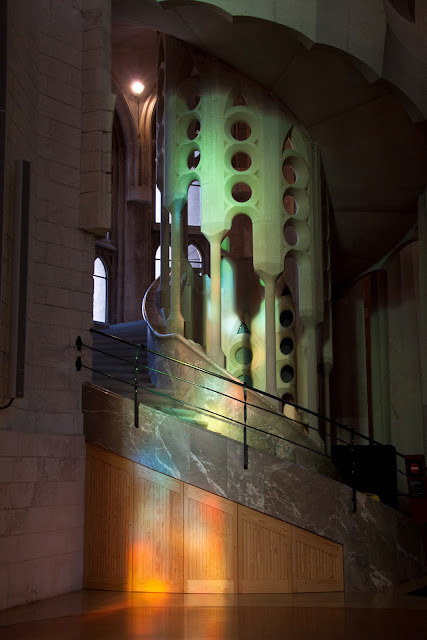 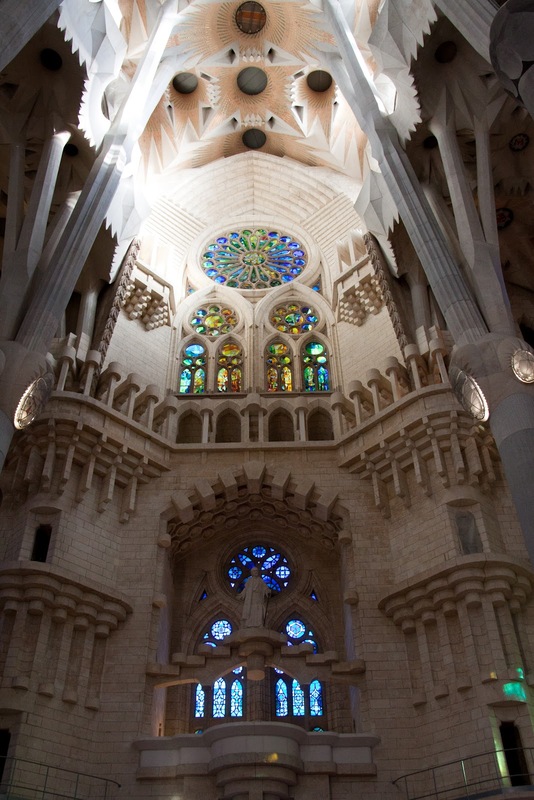 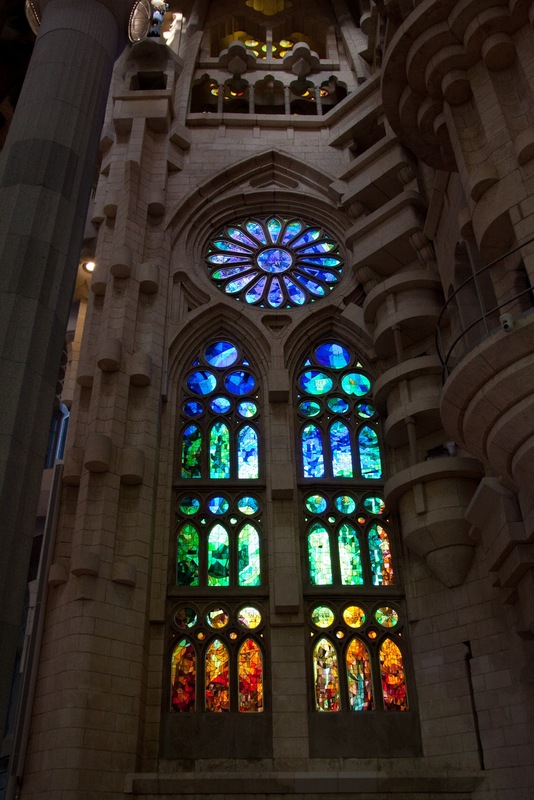 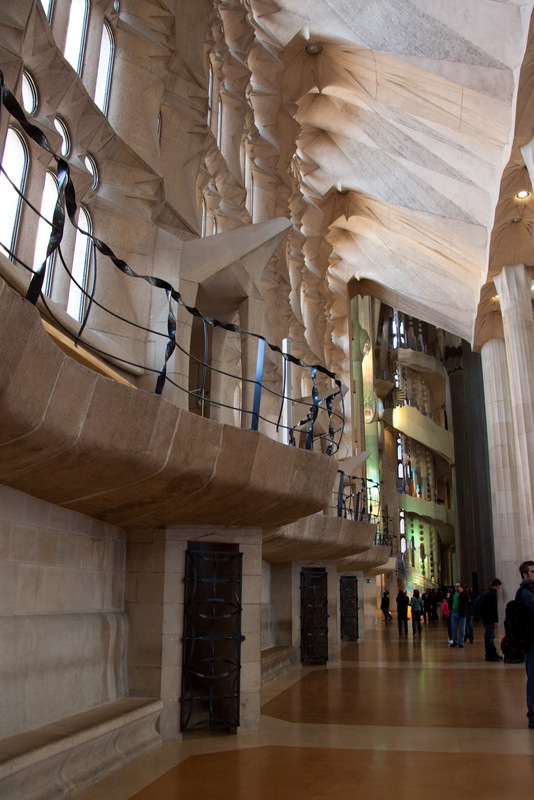 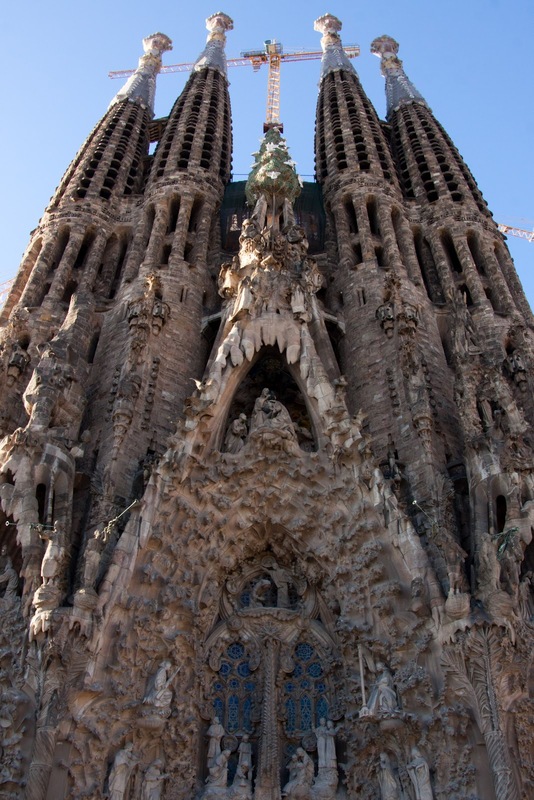 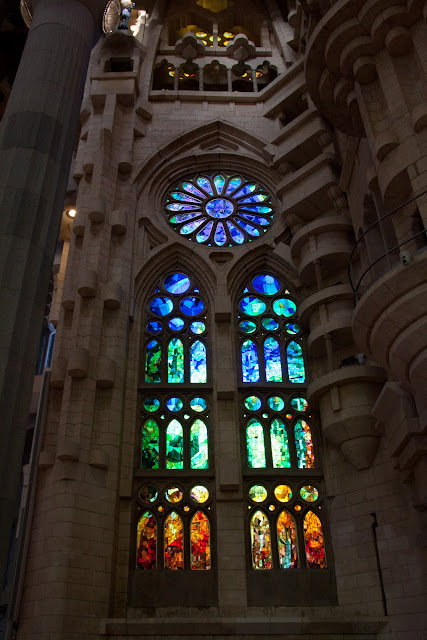 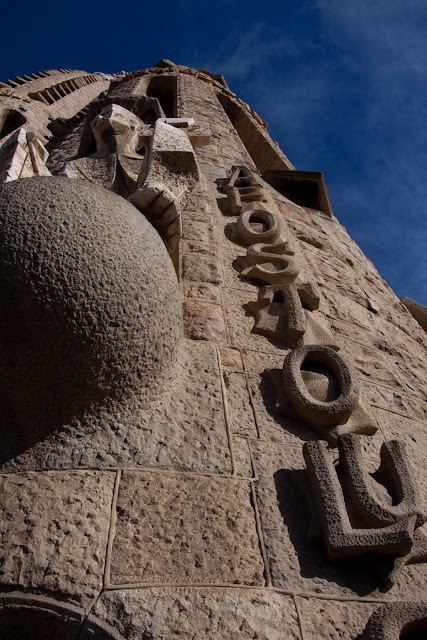 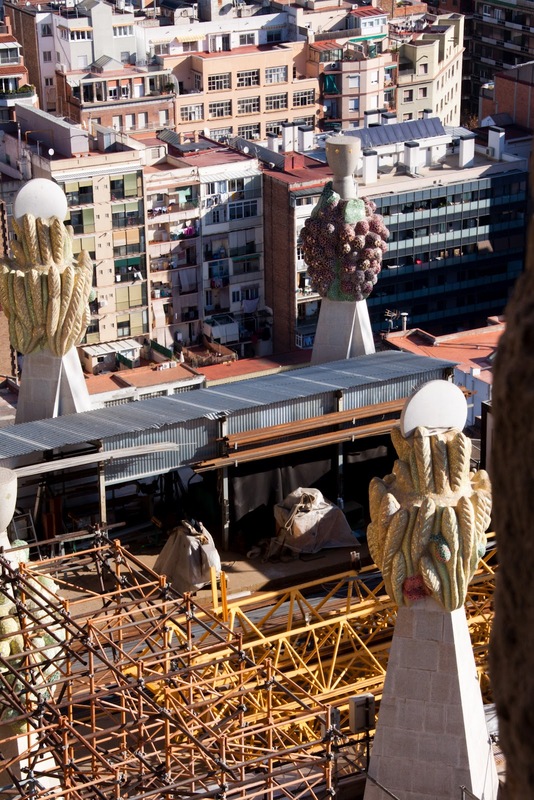 The Basilica is probably Antoni Gaudí's most famous work, despite the fact that he died before completing it. 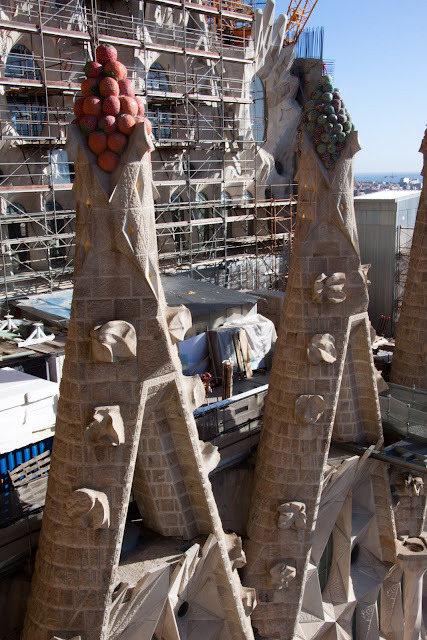 The building is still under construction, which is both disappointing and fascinating. 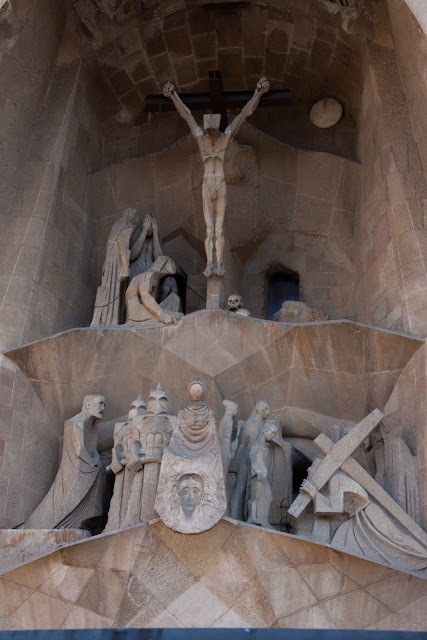 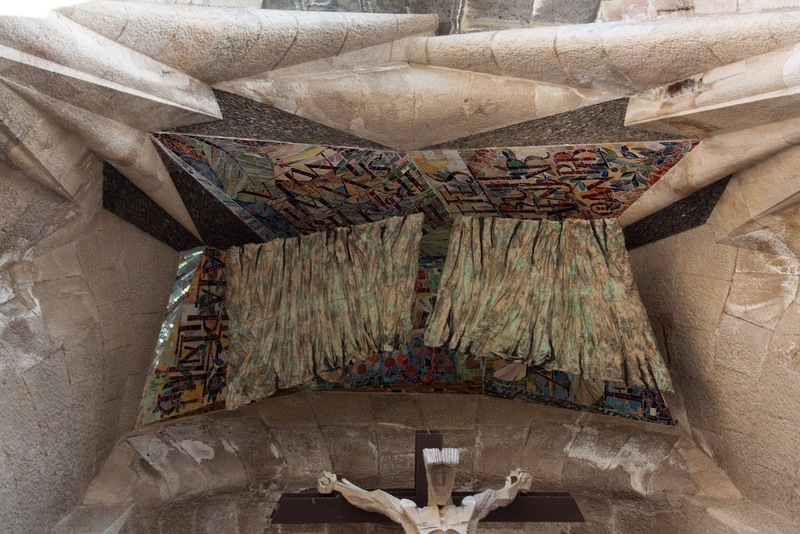 A detail of the crucifixion over the entrance. 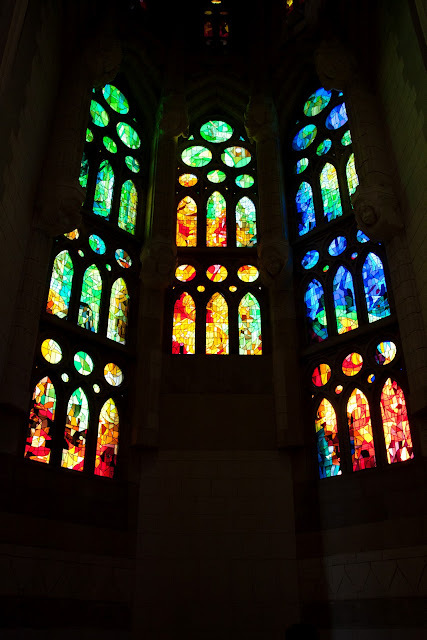 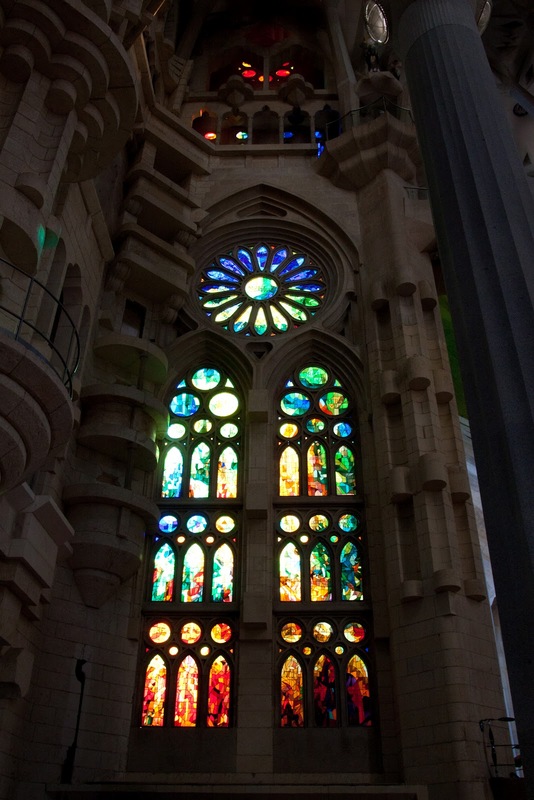 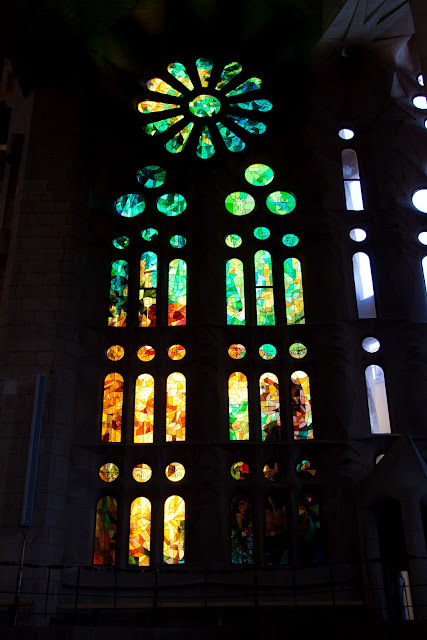 When completed, every window will be filled with stained glass. The walls and stones of the basilica are quite plain, but it's barely noticeable when the brilliantly colored light streams in from every angle. 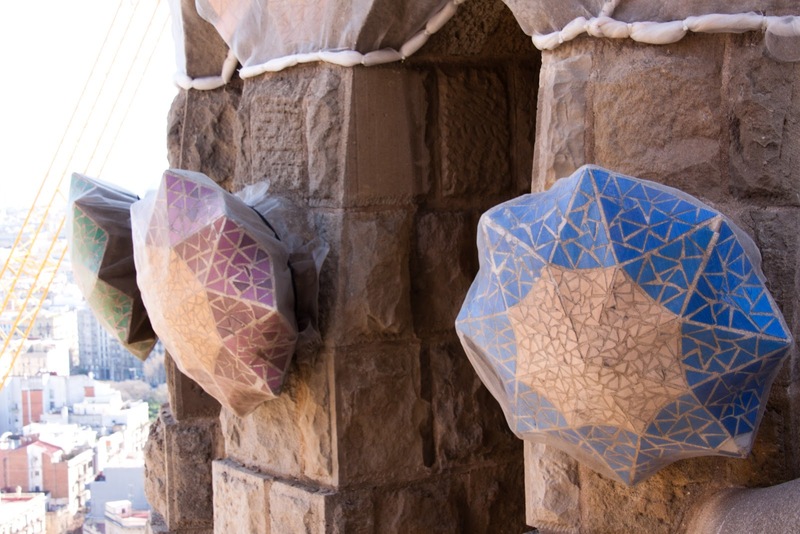 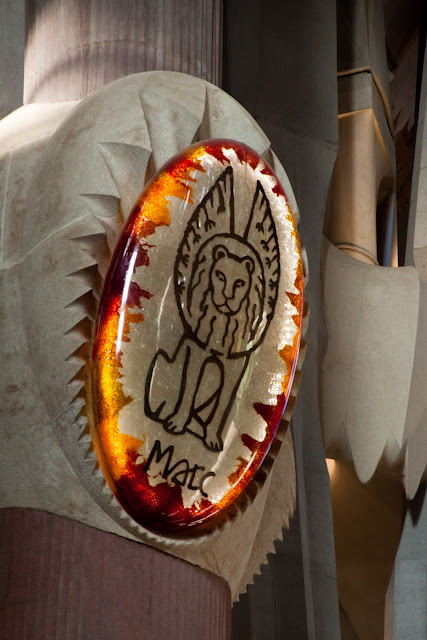 Each pillar will have these crests mounted. 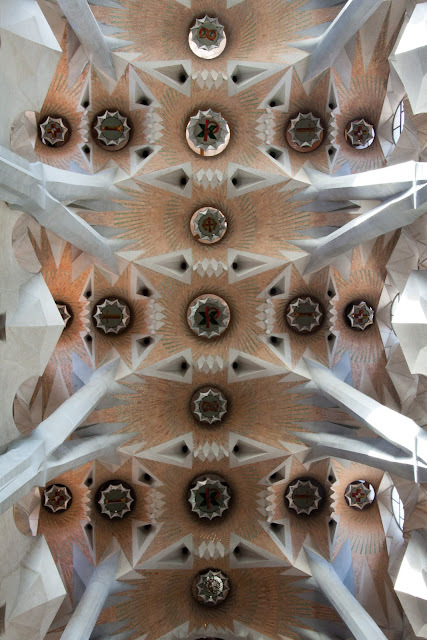 The ceiling resembles an angular geometric forest canopy. 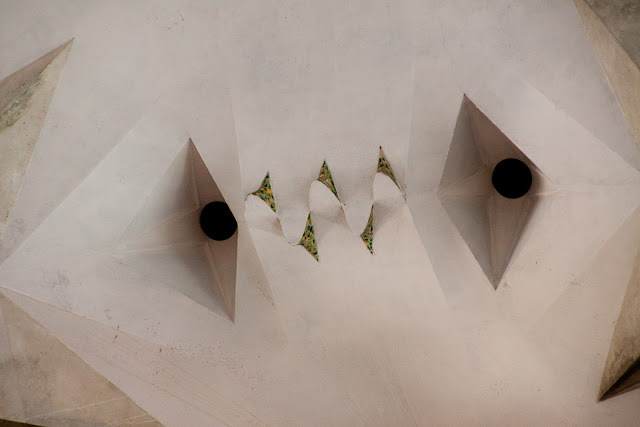 A detail of the folded-paper looking intersections. 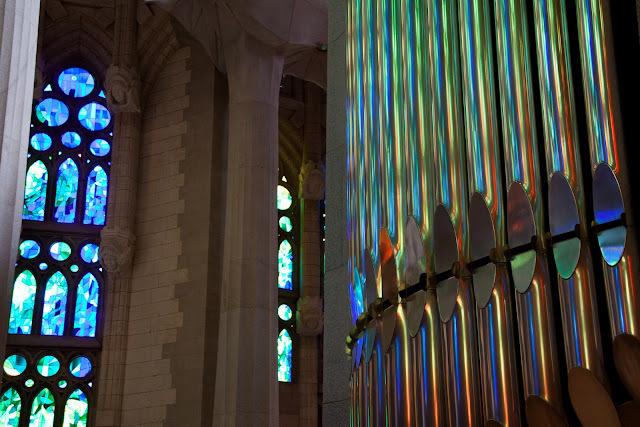 The organ pipes are regular organ pipes and silver-colored, but they reflect the windows beautifully. We went down into Gaudí's old workshop, under the basilica. 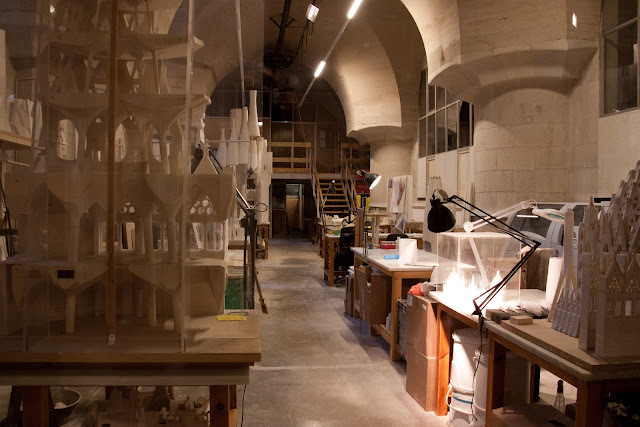 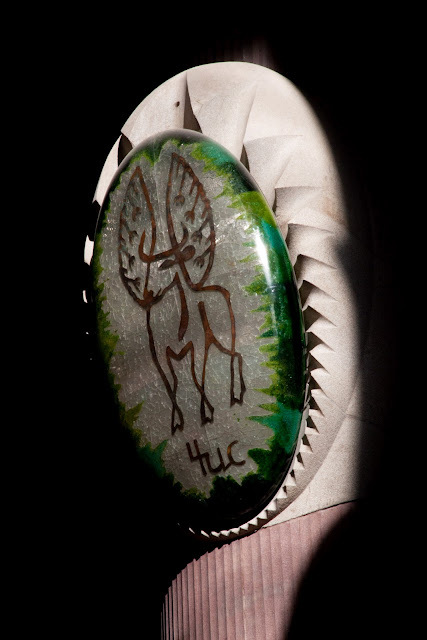 Most of his models were destroyed, but the current architects have replicas they are using as they continue the work. 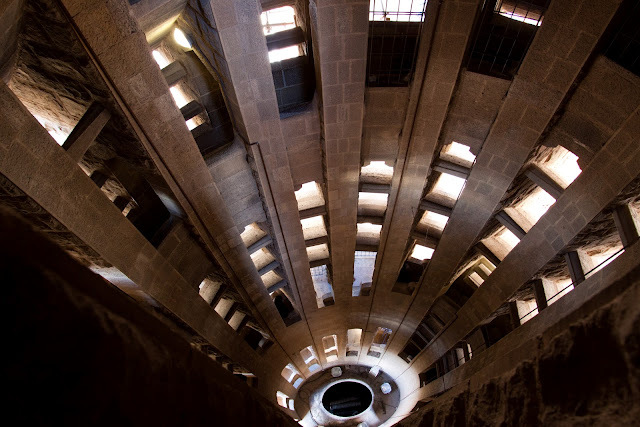 We did the additional tower tour- you take an elevator up one of the towers and then walk your way down. This is the elevator shaft. 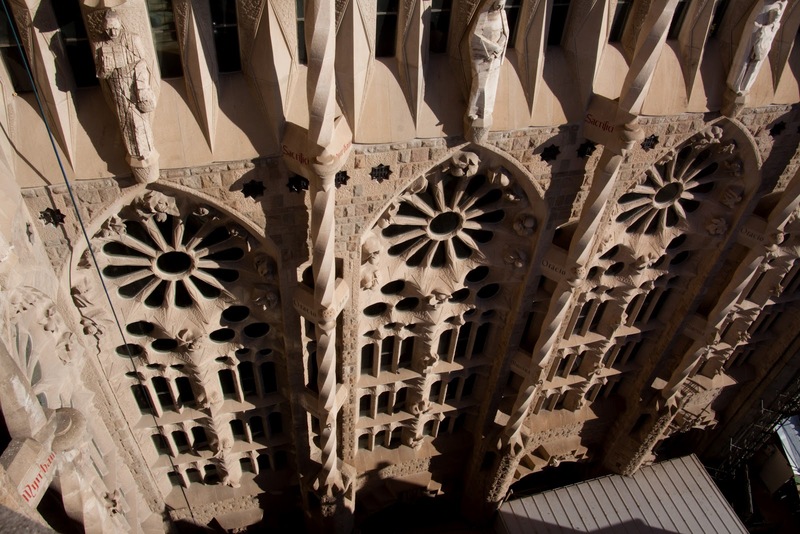 As we walked down, there are multiple balconies to step out on and see both the basilica's exterior details up close and the expansive view of Barcelona. 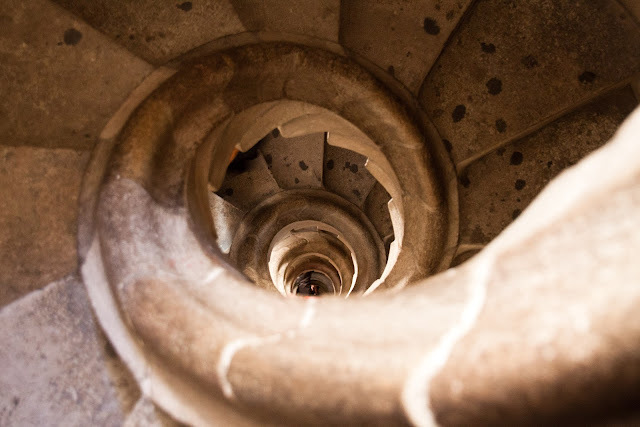 Th staircase going down the the tower. 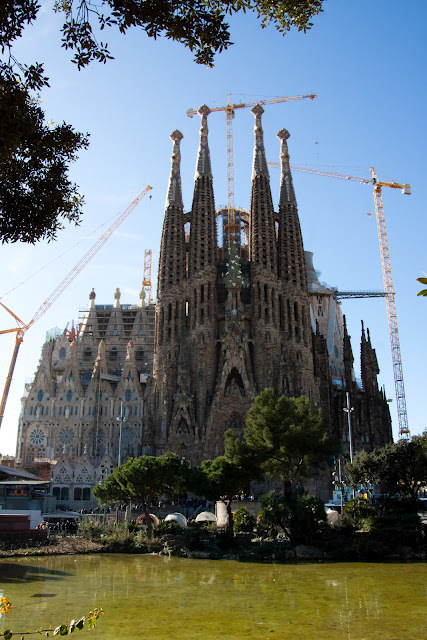 From a park across the street. 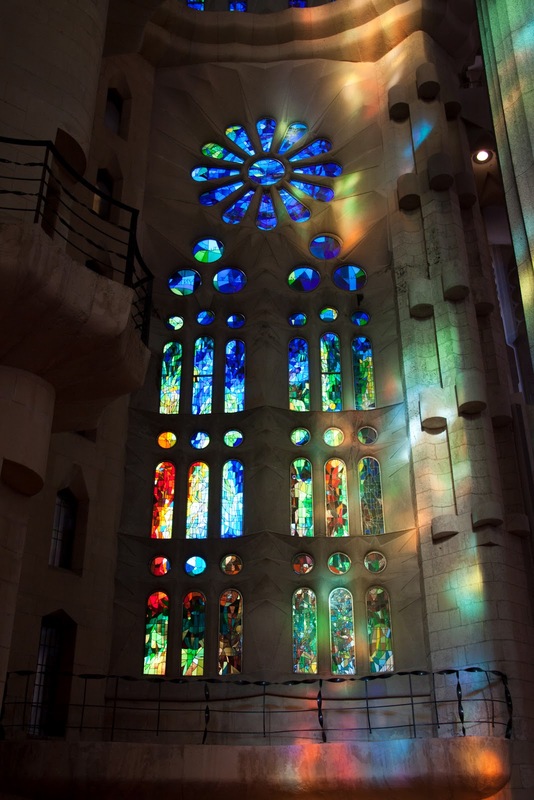 In the shop they sell a poster of this view, with the basilica reflected beautifully in the crystal-blue water of the pond... clearly that's not it's normal state!